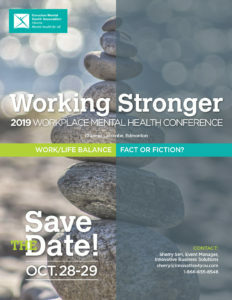 In October 2019, the Canadian Mental Health Association (CMHA), Alberta Division is hosting a Workplace Mental Health Conference designed to guide Alberta’s employers in achieving better mental health in the workplace. Working Stronger – Work/Life Balance: Fact or Fiction? is two days of networking, information exchange and dialogue that will advance our efforts to support healthier workplaces across the province. It will bring together the most creative and inspiring mental health thinkers and leaders in the field. Our vision is mentally healthy people in a healthy society. 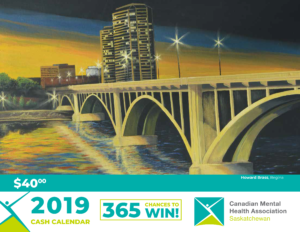 The conference – October 28 and 29, 2019 in Edmonton – will feature keynote speakers, workshops, panels, presentations, training opportunities and exhibits. This conference is ideally suited to organizations and individuals interested in learning more and becoming champions of workplace mental health in Alberta. WHAT WILL SET THIS CONFERENCE APART? With a focus on workplace and personal wellness, occupational health and safety and law, and lived experiences, mental health leaders, researchers, people with lived experience, employers, managers, human resources professionals and occupational health and safety (OHS) workers will come together to advance thinking and practice in mental health in the workplace. This conference is offering a robust and stimulating program of keynote speakers, presentations, panel discussions, training and excellent networking opportunities. The program, featuring three keynote speakers, will showcase successful programs and best practices regarding personal and professional wellbeing. Delegates will have the opportunity to choose from carefully curated workshops. How does personal wellness affect workplace performance? How can employers ensure their employees are practicing wellness at work and focusing on their wellness at home? Learn about factors that contribute to overall mental health of workers and how employers can encourage employees’ holistic wellbeing. This stream will explain the importance of wellness in all aspects of the employee’s life. Those who have lived experience with mental illness have a unique perspective on the workplace. This stream will explore the challenges, stigma and strategies of those who have experienced mental illness in the workplace and how it has affected their professional and personal lives. Stories of their journey will help demonstrate how employers and colleagues can encourage a healthy work environment for those living with mental illness. The Occupational Health and Safety and Law stream will showcase successful or emerging policies and practices that support the mental well-being of Alberta’s workplace. This will include discussion of challenges, successes and learnings helpful to participants’ understanding as well as the current law regarding mental health in the workplace and its implications in the Alberta context. Please note: Presenters must be paid registrants. Honoraria and travel reimbursement are not available. 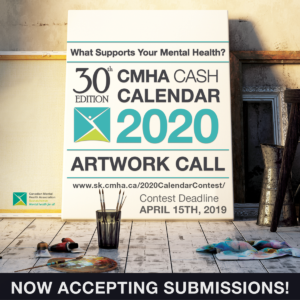 An electronic version of the presentation must be submitted to the event manager shortly before the conference for posting to the CMHA Alberta website and to pre-load at the conference. Presenters will be provided with a designated time to present by the conference committee. We look forward to receiving your abstract submission!